Art has been an integral part of Catholic worship spaces since the earliest days of Christianity when the Christians in Rome would use symbols to secretly communicate beliefs during times of persecution. Throughout medieval times the church commissioned artwork to help the faithful understand passages from the Bible and the lives of the saints. The idea was that the artwork was created to the glory of God and would help Christians (the common people being largely illiterate in those days) understand their faith and reflect on the wonders of creation and Biblical stories. From the earliest times when Christian identity was represented by images like fish or a cross in the catacombs through to the illustrations that proliferated in churches during the Middle Ages to the incredible artwork created by Renaissance masters in Catholic churches, Christians in the Roman Catholic tradition have embraced art as means to underscore the most basic tenets of Christianity. This is evident nowhere more so, arguably, than in Rome where to this day exceptional mosaics, frescos, stained glass, sculptures, and paintings abound – all quietly communicating the key messages of Christianity in the language of art, which transcends all words. There are Seven Hills of Rome, the largest of which is the Esquiline Hill. 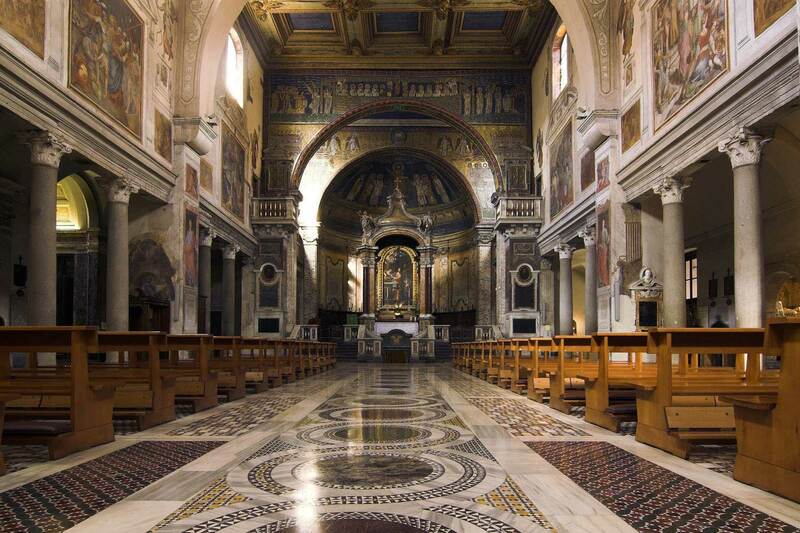 Our three-hour Private Rome Equiline Hill Churches Walking Tour offers travellers the opportunity to encounter works of art still hidden where they were first commissioned to bring the word of God to the masses. This tour also includes English-speaking Italian driver-guides. These beautiful and ancient churches contain works of great masters for which Italy is celebrated by art historians. There are some great sights to see within Italy, featuring statement churches and historical monuments. One church, dedicated to the Mother of Jesus, boasts mosaics dating back to the 5th Century. It is breathtaking to see first-hand the art created in those ancient and uncertain early days of Christianity. Other breathtaking sights in Italy include a veritable artistic treasure trove in Santa Prassede, a smaller church renowned for a chapel that is decorated with awe-inspiring mosaics known as the Garden of Paradise and the Basilica of St. Peter in Chains, which is home to Michelangelo’s celebrated statue of Moses. What is truly amazing in Rome is how visiting churches gives travellers the opportunity to see artwork created by a veritable who’s who of Italian artists. 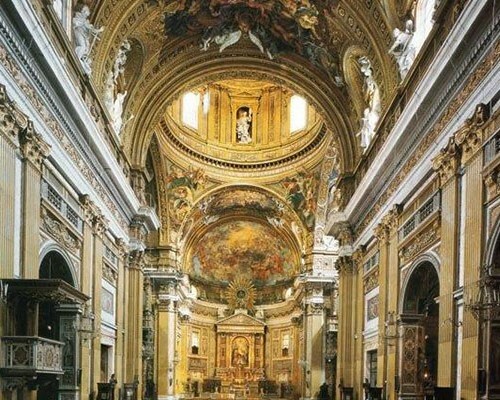 When you stroll through Rome’s churches with an experienced guide you’ll see work by internationally celebrated artists including the great Leonardo da Vinci, Titian, Giotto, Gian Lorenzo Bernini, Raphael, Fra Carnevale, and countless others. Unlike Protestant countries where the Reformation’s backlash against artwork in churches saw the destruction of countless precious works of art, Italy’s steadfast loyalty to Roman Catholicism has preserved these masterpieces for modern viewers where they were intended to be – in churches, not museums. Where the Reformation considered artwork idolatry, because many Protestants professed only words could truly lead people to God, the Church of Rome has always viewed sacred imagery a way to portray the spiritual. 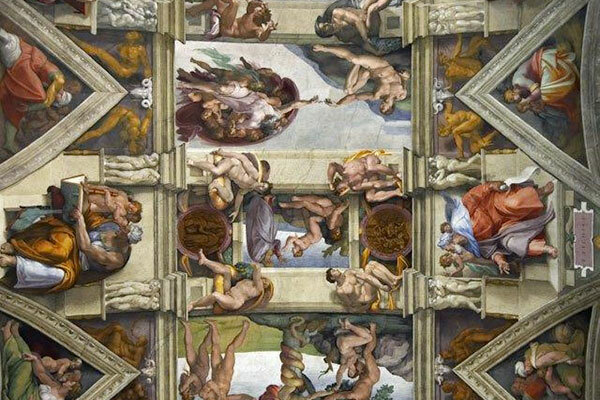 Taking this wonderful tour of the churches in Rome will let travellers decide for themselves whether the Catechism of the Catholic Church is correct when it professes that through art, “Christian iconography expresses in images the same Gospel message that Scripture communicates by words. Image and word illuminate each other” (CCC 1160). 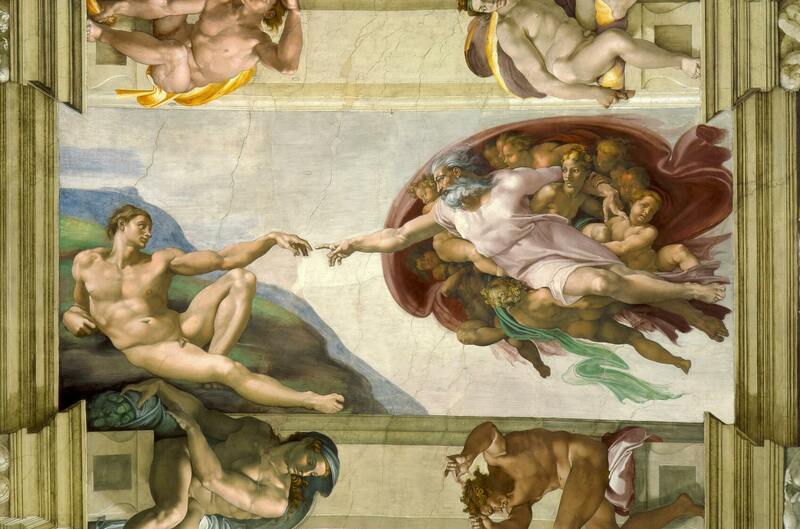 One thing is undeniable: The divine inspiration of Italy’s artists is unforgettable.